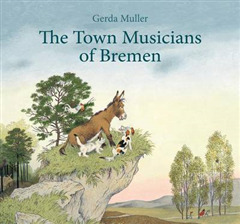 Four unlikely animal companions set off on an adventure to become musicians in the town of Bremen. When night falls and they're cold and hungry, the friends find a cabin in the forest where they could rest and eat -- if it wasn't home to a band of robbers! 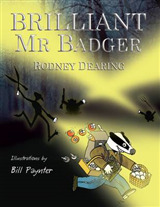 Can the animals work together, and use their musical voices to chase the robbers away? 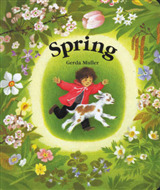 Children will love braying along with the donkey, barking with the dog, purring with the cat and crowing with the rooster as the animals eventually find a new home. 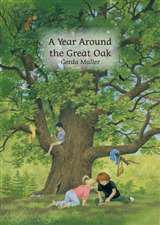 Gerda Muller's beautiful detailed illustrations bring this classic Brothers Grimm fairy tale of animal friends to life.